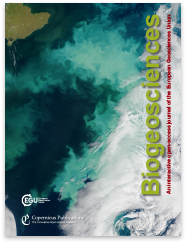 Our colleague Albrecht Neftel has stepped down from his function as editor-in-chief of Biogeosciences after more than 10 years of serving the journal and the scientific community. It was a great pleasure for us to cooperate with Albrecht, who was always available to discuss and solve any issues concerning our journal. We will miss his sage advice. We wish him all the best for the future.